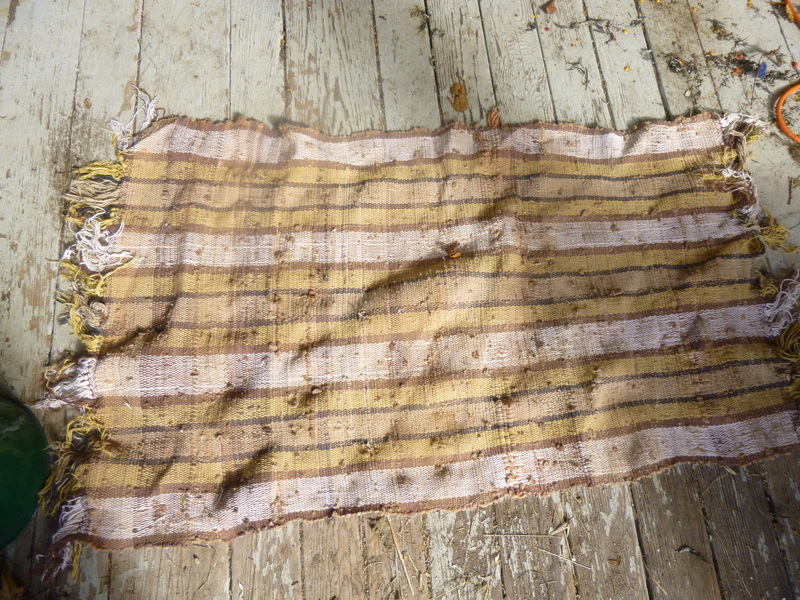 I wove lots of these rugs over 16 years ago and they have been in constant use. I gathered the nylon stockings from everyone I knew, I really enjoyed weaving the rugs. They are durable and lasting. When they wear out I will reuse them in another rug. Nylons are scarce now-days. Women just don’t wear them like they did in the 70’s and 80’s. I am still looking for some so if you know of a source let me know. While reading through a Poultry Magazine I came across this article about a cleaning solution for the spring cleaning of the hen-house. 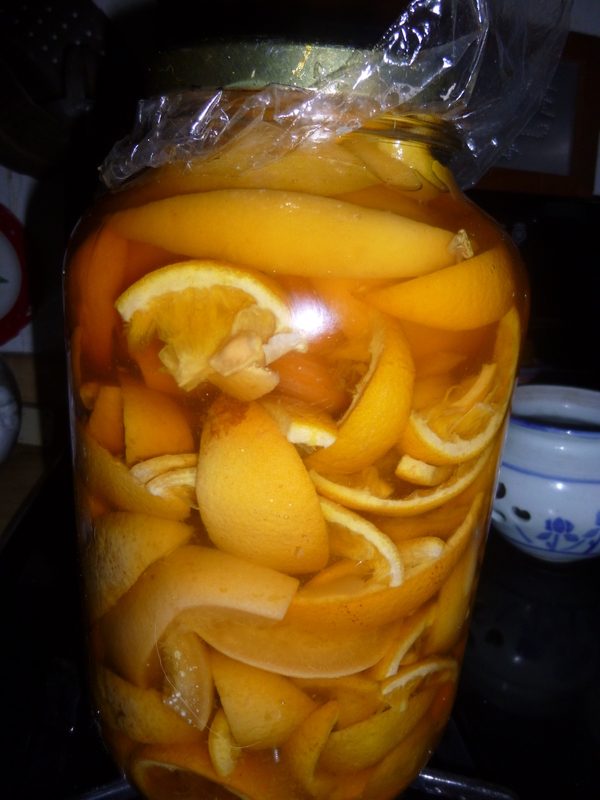 It called for large quantities of orange, lemon, or lime peelings and some cider vinegar. I don’t eat a lot of citrus so I called my friend Lynn. She and her husband eat lots of citrus. She made me this jar and I will be able to use it this spring. It’s easy to make just fill a gallon jar full of citrus peelings covering them with cider vinegar as you are collecting them and store on a shelf till spring comes along. Strain out the citrus and put into a spray bottle. It will have bug killing qualities and will smell good. 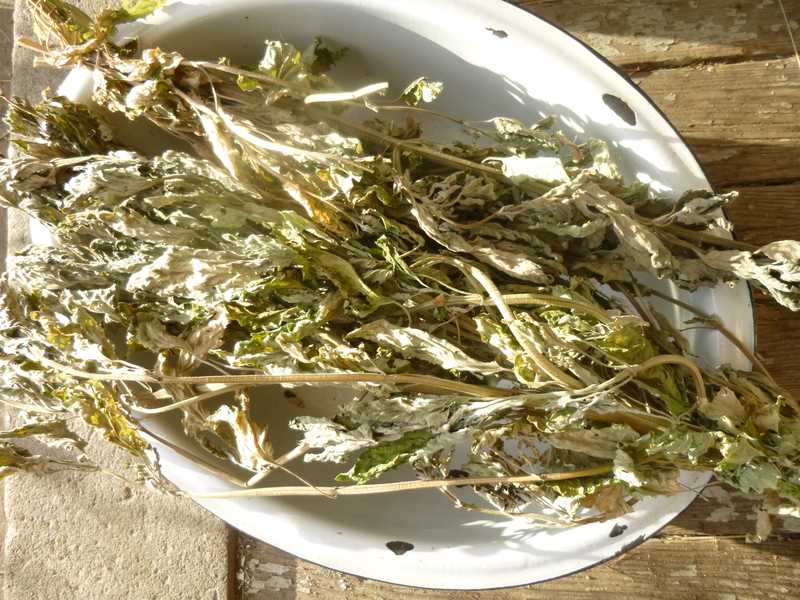 When Lynn dropped off the solution she also dropped off catnip, Today I will take the leaves off and run it through the coffee grinder. These will help fill my catnip jar and her cats will get some catnip toys. My goal is to grow all my own catnip and not have to buy it. I sell over 200 catnip toys every year at shows, of course my Kitties enjoy them all during the year too. Lilly came home from the hospital today. It will be a whole new world for her. The news is that another north easter is heading our way for Wednesday. This time it will probably be snow. Today I stocked up on animal feed so there will be no worries next week. I started feeding the birds yesterday. Today has a chill in the air and they are all flocking to the feeders as food gets scarce.